If you have children, knowing the Colorado Springs School Districts is a must. We’ve prepared this easy guide for you. In the table, click on the school district name to go to their website for complete information about the district. 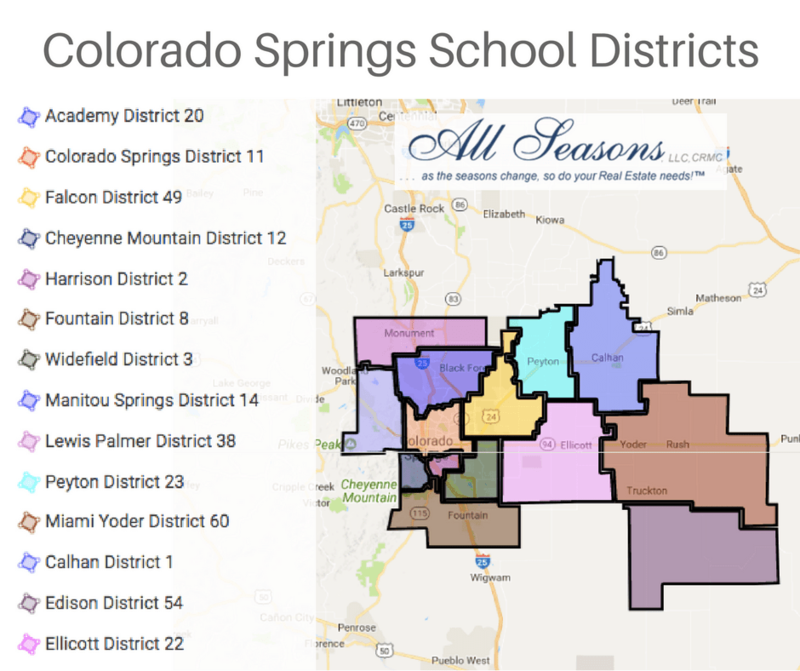 Before the table, there’s a map to show you how the Colorado Springs school districts are laid out. Click on the map to go to an interactive Google version of the map. If you see a home you’re interested in renting, this guide will help you figure out what district it’s in, and what each specific school district has to offer. And if you’re looking for a home to rent in Colorado Springs, make sure to give All Seasons a call at (719) 632-3368. Click on the map below to go to an interactive Google version.